How do you discuss evolution and Earth science with biblical creationists, in such a way as to lead them to question their beliefs, rather than digging in deeper? This is the central problem for the book that I am now at last writing, and I would greatly value comments. If we want to engage biblical literalists in meaningful discussion, we need to use arguments that make sense from the literalists’ point of view. As Lakatos pointed out, scientists will not abandon a position, despite anomalies, until a more satisfactory one is offered. Why should the creationist be any different? It is not enough to point to the scientific evidence. It is not even enough to point out that Noah’s Flood, using biblical chronology, would have come just in time to drown the pyramid-builders. We need to do more than simply raise objections. We must offer a better alternative, better, that is, on the creationist’s terms, emotionally and spiritually. Such an alternative, I argue, is what emerges from textual and historical analysis. It helps, I think, to dispel the myth that religious belief requires belief in a young Earth, and the rejection of evolution, and one way of doing this is to point out that most religious believers, in the West at least, do accept, and have contributed to, the science. Since the early 19th Century, biblical believers have been among prominent proponents of scientific geology and, later, of evolution. Most Christians belong to denominations that accept the fact of evolution, and there is an organisation, the Clergy Letter Project, dedicated to the celebration of evolution as part of God’s handiwork, a position sometimes referred to as theistic evolution. There are organisations, such as the American Scientific Association, devoted to accommodating religious beliefs to the science, and a large literature on the subject. Creationists, however, are either unaware of this activity, or reject it as incompatible with their more fundamental beliefs. The creationist argument is simple: the Bible (including in particular Genesis) is the word of God, God tells the truth, therefore the Bible is true. What could be wrong with that, from the point of view of the believer? However inspired the writers of Genesis may have been, they were of necessity people of their own times, expressing themselves within their own cultural context. This is hardly a novel observation. 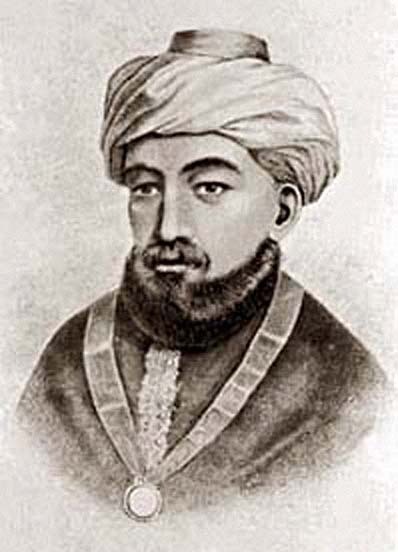 It goes back at least to Maimonides, 12th Century biblical commentator and philosopher. And what a context! The Old Testament text itself refers to many books that are now lost to us. The biblical Flood narrative itself shows signs of being formed from the welding together of two separate accounts written from different viewpoints, while its literary antecedents, and the antecedents of numerous other biblical passages, go back long before the date ascribed to Moses. You are probably familiar with the story of Moses in the bulrushes, and may have wondered where on earth it came from. Here’s your answer. 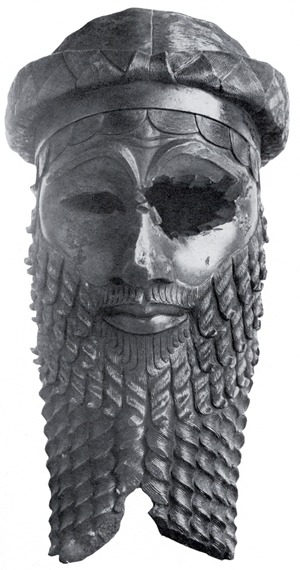 It is a direct echo of the story of Sargon of Akkad (2270 – 2215 BCE). Sargon’s mother, he tells us, was a priestess, and therefore had no business having children. So she made him a reed basket sealed with bitumen, and placed him in the river, from which he was rescued by a farmer drawing water. Consider also the Code of Hammurabi, around 1754 BC. This code, and many subsequent cuneiform tablets, resemble in their “If a man…” format the codes of Exodus and Deuteronomy, including the notorious “an eye for an eye”, which the Jews by rabbinical times had reinterpreted as a right to financial compensation for injury. And the part-mythical, part-historical Sumerian Kings List (ca. 2000 BCE) assigns enormously long lives of the pre-Flood rulers, as Genesis does to its pre-Flood patriarchs. The Flood story itself exists in numerous versions, the oldest ones known to us being the Sumerian Flood of Ziusudra and the Old Babylonian (Akkadian) of Atrahasis, from around 1600 BCE, although the story may by then already have been ancient. We should also remember that our cuneiform libraries are sadly incomplete, and in several key texts the ending is missing. Even so, the resemblance is clear, and sometimes extends to specific details. On one Old Babylonian tablet, the god who warns Atrahasis says that he will send him the animals to wait at his door to be rescued. Compare Genesis 6:20, where two of every sort will come of their own accord to Noah, thus answering the question of how he would have been able to round them all up. The same tablet even uses the expression “two by two”, as in Genesis 7:9, as does another recently translated tablet, the “Ark tablet” from around 1750 BCE, that shows the Ark as an enormous coracle. Closest to the biblical account among the surviving materials is the story of Utnapishtim, embedded in the Assyrian Epic of Gilgamesh, which I finally got around to reading this year. part of the great library of Ashur-bani-pal that was buried in the wreckage of Nineveh when that city was sacked by the Babylonians and their allies in 612 BCE. Gilgamesh is a surprisingly modern hero. As King, he accomplishes mighty deeds, including gaining access to the timber required for his building plans by overcoming the guardian of the forest. But this victory comes at a cost; his beloved friend Enkidu opens by hand the gate to the forest when he should have smashed his way in with his axe. This seemingly minor lapse, like Moses’ minor lapse in striking the rock when he should have spoken to it, proves fatal. Enkidu dies, and Gilgamesh, unable to accept this fact, sets out in search of the secret of immortality, only to learn that there is no such thing. He does bring back from his journey a youth-restoring herb, but at the last moment even this is stolen from him by a snake when he turns aside to bathe. In due course, he dies, mourned by his subjects and surrounded by a grieving family, but despite his many successes, what remains with us is his deep disappointment. He has not managed to accomplish what he set out to do. One dramatic difference between the Genesis story and its Mesopotamian precursors is the length of the Flood; a year, rather than a few days. Another is the shape and composition of the Ark, which changes from a round coracle woven from reeds in Atrahasis to square planking in Gilgamesh to a giant gopher wood longboat in Genesis, although one feature (the use of pitch for waterproofing) remains constant throughout. Then there is the reason for the Flood. In Gilgamesh, none is given, but in other versions we are told that the gods, and especially the ill-tempered and arbitrary Enlil, think that humankind is making too much noise for their comfort.1 The gods are, among other things, personifications of natural forces, and Enlil as sky god is responsible for storms. In Genesis, humankind is destroyed, by the God who created them, because they deserve it. We can debate the relative merits and degree of realism of these two approaches. From very early times, the Israelites must have been familiar with the literature of their powerful neighbours to the East. They would certainly have come into contact with it during the Babylonian Exile. The Book of Daniel tells us (and why should we not believe it?) that selected Judaean youth were given three-year courses in Babylonian language and literature, during which provision was made for their food and wine. A university education, complete with maintenance grant! And we know from the recovered debris of Babylonian schoolrooms that the King List, Sargon, and Gilgamesh were part of the curriculum. Other interesting things were happening in Babylon around this time. One remarkable tablet seems to describe all the other gods as attributes of Marduk, the god particularly associated with Babylon. So we are told that Urush is Marduk of planting, Nergal is Marduk of battle, Nabu is Marduk of accountancy, and so on through a total of 14 equivalences. If Marduk-worship really was moving in the direction of monotheism, this might help explain the puzzling fact that the Jewish hero of the book of Esther is called Mordechai. The Flood story may have entered what was to become the Jewish tradition more than once, and from subtly varying sources. The Genesis account gives the strong impression of being the fusion of two slightly inconsistent narratives, using different ways of referring to God.2 One of these has Noah taking one pair of each kind into the Ark, while the latter has him take in seven pairs of clean animals, presumably in order to have some available for sacrificing, or perhaps to restore agriculture after the Flood. The degree of distinctiveness of these two narratives, and their dates of composition, remain fertile areas for study and debate. Thus, placed in context, the Flood story fits into a picture of intellectual and spiritual ferment as people, and peoples, develop their descriptions of the Deity. By contrast, the doctrine of verbal infallibility offers nothing but a single sterile rootless revelation. Genesis deserves better. Sources: This piece was triggered by reading Sanders’ 1960 translation of The Epic of Gilgamesh. 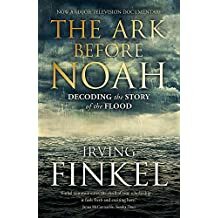 Reading this sent me back to Genesis, and hence to two other books, The Bible [actually, just the Pentateuch] with Sources Revealed, by Friedman, and The Ark Before Noah, by Finkel. Friedman is Ann and Jay Davis Professor of Jewish Studies at the University of Georgia, while Finkel is curator of the British Museum’s collection of cuneiform tablets. Most of the material here derives from these two sources. 1] Sandars interpolated this reason from the Atrahasis Flood story into her translation of Gilgamesh; see her introduction for details. 2] Some readers will recognise these as P (in some authors, E) and J respectively, two of the four sources proposed in the Documentary Hypothesis, for which Friedman lays out the evidence in the work already mentioned and, at greater length, in Who Wrote the Bible? For a powerfully dissenting view, however, see Rendsburg, “The Biblical Flood story in the light of the Gilgamesh Flood account,” in Gilgamesh and the world of Assyria, Azize, J & Weeks, N., Peeters, 2007, p. 117, open access here (Publication 119), and How the Bible Is Written (scheduled for 2019). Kitzmiller v Dover Area School District, in which judgment was pronounced on 20th December 2005, is the court case that established that Intelligent Design is not science, but a form of religiously motivated creationism, and as such may not be taught in publicly funded schools in the US. This is a shortened version of what I told the students at Texas Academy of Mathematics and Science, University of North Texas’s early admissions programme, whom I was privileged to be teaching at the time of the trial. I have omitted my discussion of the embarrassing Intelligent Design pseudotext, Of Pandas and People, and the even more embarrassing statement that the Dover School Board instructed teachers to read, for reasons of space and because I have discussed them here before. I have tried to avoid rewriting in the light of what I have learnt since, but insert some comments for clarity, and links where relevant. This is a rather unusual presentation. It is the only presentation that I have ever given in response to a specific request from the [then] President of the United States, who has given as his opinion that Intelligent Design should be discussed in schools. It is the only presentation in which you will see me, a chemistry professor, practicing philosophy and even biblical exegisis; and I should warn you that I am practicing without a license. It is the only presentation I have ever given with the expectation that a number of people in the audience will be actively hostile to what I intend to say, because the point of view that I stand for is often misrepresented in this society as being hostile to religion. But what is really extraordinary about this presentation is, that it is necessary at all. Having been a hundred years in the making, the central notions of evolutionary biology erupted into public awareness a century and a half ago, and, over the following 50 years, the major religious groups of the industrialised world came to terms with these ideas. The creationist challenge to what has been, for over a century, the central theoretical framework of biology, is a recent development, and, very specifically, a 20th-century American phenomenon. Very recently, creationism has changed its name to Intelligent Design Theory, but this is a purely cosmetic change. I expect that this talk will please no one. I will, as you might expect, argue against Intelligent Design arguments. Indeed, I will go much further, claiming that such arguments are part of a particular kind of mindset, which I will call literalism (although some call it fundamentalism), and that the rise of this mindset represents a most serious threat to knowledge. When a majority of Americans polled reject the central concepts of mainstream modern biological science, something is very badly wrong. I will also argue that the scientific establishment has contributed to this disaster (and when a majority of the American public deny the plain facts of biology, this is a disaster) through its own ineptitude and philosophically muddled teaching. I will argue that literalism is a harking back to a prescientific mode of thought, that is systematically distorts the way in which its practitioners view the world, and that it represents a seriously impoverished approach at the spiritual level and the level of human affairs, as well as being completely hostile to the spirit and practice of science. The standard picture of modern biology, as I will call it, stems from the work of Linnaeus who in 1737 establish the classification that we still follow into species, genera, et cetera. It was not long before Buffon and others started explaining similarity in terms of family resemblance. A critical stage in this development took place in the mid-19th century, with the idea that species originate through descent with variation, followed by competition between the different variants. We associate this insight with Charles Darwin’s publication of The Origin of Species, but the fact that the same key ideas were independently discovered by Alfred Russel Wallace suggests that this was an idea for which the time was ripe. 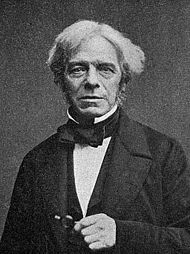 The entire evolutionary position is still sometimes referred to as “Darwinism”, especially by its opponents, but this is completely unhistorical, and the expression should be reserved for the specific ideas put forward by Darwin, Wallace, Thomas Huxley, and others in the mid-19th century. Current evolutionary theory is a much refined and altered version of this, much as present day atomic theory is a much refined and altered version of that used by mid-19th century chemists. The immediate upshot of Darwin’s publication was intense debate between those who welcomed it as a major scientific advance, and those who saw it as a threat to established ideas in religion, and in particular to the authority of the Bible. In Europe, and particularly in Britain, the debate was played out in the next few decades, and led to general acceptance by the churches of the correctness of the evolutionist position, and reinterpretation of Genesis in terms of allegory. Darwin himself lies buried in Westminster Abbey. Since that time, the argument for evolution has enormously strengthened, in ways that Darwin and Wallace could not have foreseen. The work of Grigor Mendel and his successors gave us a science of genetics, which shows how it was possible for variations to be passed on undiluted from one generation to another. We can understand how the necessary variation arises, because we know about mutations, and since the work of Franklin, Crick, and Watson in 1953, we even know the nature of the genetic material. In Darwin’s time, there were massive gaps in the fossil record, so large in fact that Wallace continued to believe that humanity was a separate creation, rather than having common ancestry with the apes. By now, we have a whole range of intermediate forms, so much so that there is held the ongoing debate among anthropologists and paleontologists as to which ones lie on our direct line of ancestry, and which represent evolutionary dead ends. We have the discovery of deep time, necessary for evolution, and the development of about a dozen separate, mutually consistent, methods of radioactive dating, which enable us to assign dates to fossils, going back over 3 billion years. Finally, and most convincingly, we have the development of DNA sequencing, which makes it possible to give a quantitative estimate of how long different species have been developing separately, and the family relationships discovered in this way bear a remarkable closeness to the family resemblances observable when we classify present-day organisms, and to the distances between branches of the evolutionary tree, as displayed by similarity of features and the fossil record. I was therefore amazed, on arriving in Texas in 1988, to discover that in the minds of many Americans these matters were still in dispute, and since then I have been appalled at the increasing expression, for largely political ends, of the view that evolution is seriously in doubt, and even that creationism should be offered in biology classes in schools. I fear that the usual reaction of us scientists including myself until recently, has been to ask “How can anyone believe anything so stupid?”, and then not wait for an answer. Or, alternatively, to put forward reasoned defenses of the evolutionist position, as I have spent the past few minutes doing, without stopping to examine the thinking of their opponents. The result is an outpouring of writings by scientists, for scientists, which are either ignored by the creationists, or, worse, mined for phrases that can be used against us. What I plan to do today and henceforth, is to take a rather different approach, to suggest that the opposition to evolutionist biology depends on what I shall call “literalism”, and to contrast the methods of literalism with those of science. I shall argue that literalism extends far beyond the usual biblical context that we associate with the word, that literalists will regard as legitimate kinds of argument which to scientists seem downright dishonest, and that through failure to understand the nature of literalism, we scientists and science educators give ammunition to our enemies. We are losing the public relations battle because we have not taken the trouble to understand what we are up against. We (and by we, I mean the whole of mainstream science) are at war, and don’t know it. This is why I am urging scientists to play attack, rather than defense. If an adversary who is determined not to be convinced demands more evidence, there is no point in trying to give it to him. He will complain of the inadequacy of any volume of evidence, and will always be able to ask for more, in much the same way that the coal companies keep on demanding more evidence for global warming. For example, if you point the fossil record as evidence, the creationist will point out that there are times in the fossil record, and however detailed the evidence may be that you offer, there will still be gaps. If you fall for this ploy, you will always be on the defensive, and your opponent will always seem to an outsider to have the stronger case. As I shall show later by example, what you should do is to ask the creationist why, in his scheme of things, there is any fossil record at all. Firstly, let me define my terms. By literalism, I mean the belief that it is possible to find out the truth about things by closely examining words. By creationism, I mean the belief that separate species or groupings represent separate acts of divine intervention. Since there is only one serious candidate for the role of Intelligent Designer, and since proponents of Intelligent Design never give us any details of how the designs come to be embodied, I think we must conclude that is simply a form of creationism that dare not speak its name. By absolutism, I mean the belief that it is possible to arrive at a final absolute statement of the truth. Absolutists generally believe, although logically they do not really have to, that they themselves happen to be the ones in this fortunate position. We need some terms for the contrary positions. I shall refer to the opinion that all living things on Earth share a common ancestry as the standard picture. I will use the term fallibilists for those who believe that, except perhaps in certain areas of mathematics or of direct experience, absolute certainty is not of this world, that some degree of uncertainty attaches itself to all their opinions, and that they are certainly wrong about many things, although they don’t know which. In their working lives, at least, all scientists are fallibilists. That is because we care about the facts, and our experience shows that the facts can prove us wrong. This position leaves no room in science for absolutism or literalism. Nor should we want there to be, since reality is more interesting, subtle, and complex than our ability to describe it. I think you can already see how this is going to play out. Scientists will, ideally at least, make carefully qualified statements, judiciously spelling out the degree of uncertainty in their opinions, and emphasising their willingness to change their beliefs in the face of new evidence. That’s because we care about the facts. They will maintain, correctly, that literalist arguments are devoid of scientific merit, and will naïvely imagine that that settles the matter. Literalists will often be absolutists, and will attribute the cautious way in which scientists use words to lack of conviction. The literalist will freely quote the scientist out of context. The scientist will complain that this is dishonest, that his or her meaning is being distorted, but the literalist will reply, in all sincerity, that he cannot be faulted for simply citing what was actually said. If the scientist regards the literalist at this point as dishonest, the literalist will regard the scientist as evasive. The result is that we have a cottage industry based on literalist quotation mining, and a counter-industry in which the defenders of science try to keep up by mending the fractures, and putting the quotations back in context. All this seems to me a symptom of a deeper problem. The fallibilist will assume that the conversation is in the last resort a cooperative effort, a kind of conversation, with both parties interested in winding up a little bit closer to the truth. The absolutist believes he knows the truth already. For him, the conversation is a competitive debate, where the aim of each party is to vanquish the other. The absolutist will therefore play by rules closer to those of the law court that the laboratory. He knows the truth, and all he has to do is to make the case for it. His job is to assemble all the materials, good, bad, and indifferent, that supports his own case and to trash any counter arguments made by their opponents. Faced with these tactics, scientists will believe themselves to be the victims of conscious intellectual dishonesty, and may even withdraw from the debate. Literalism has various attractive features, some of which I have already mentioned. There is certainty, provided one can convince oneself that one has interpreted the text correctly. There is power, if you can convince other people of your superior ability to interpret the sacred texts. There is finality, since once something has been said, with sufficient authority, the issue is regarded as settled once and for all. There is a sense of comradeship and shared purpose with those that use the same texts as you do. Some literalists go so far as to believe that everybody who agrees with them will go to heaven, and everyone who disagrees will go to hell. A powerful consideration, which may well distort anyone’s judgment. For American audiences in particular, there is the ever popular illusion of individualism; this is what I believe, dammit, and no pointy head is going to tell me different. Above all, literalism gives you an easy way of resolving complex issues. It deals with words instead of dealing with things. When presented with a thing, the literalist will put it in a box, put a label on the box, and then decide how to deal with the thing by reading the label. I argued that literalism is intellectually bankrupt in the area of biblical exegesis, quoting 2 Corinthians 3:6: “the letter killeth, but the spirit giveth life” and pointing, much in the spirit of Maimonides, to texts that surely were never meant to be taken literally. My first example was day and night on Day One of Genesis, but no sun and moon until the fourth day. How could you have alternating day and night before you had sun and moon? I ran this argument by a literalist, with whom I had a long and informative correspondence, and he said, more or less, no problem: God can turn the lights on and off whenever He feels like it. Fair enough, perhaps, but notice that if you argue like that, you cannot pretend to be doing science. By invoking God’s will in this way, you can explain absolutely anything, you can never be proved wrong, and your idea can never be tested against the facts. The poet John Donne gives, as an example of what humanity does not understand, “Why grass is green, or why our blood is red”. Oddly enough, one of my own first scientific papers helped answer this very question. But using Intelligent Design logic, there is nothing that needs to be explained. Why is grass green, why is blood red? Because the Intelligent Designer so designed it. Why is blood green, why is grass red? Same answer. Intelligent Design theory can explain anything, which means that it explains nothing. It leads to a total end of questioning, since all questions have the same answer. And the death of questioning is the death of science. I then considered other examples; God being said (Genesis 6:6, I Samuel 15:35) to have changed his mind and repeatedly in Exodus to have hardened Pharaoh’s heart. If you believe in a God who is all-knowing and just, these verses cannot mean what they say. Such arguments, I said, date back to the time of Maimonides, are independent of modern science, and serve to show that biblical literalism is bankrupt on its own terms. I have since discovered the existence of a broad swathe of religious opinion, displayed by Biologos, Evolution Weekend, and the American Scientific Affiliation, who argue in much the same way. I regard the believers in these groups as my natural allies in combating creationism, however much we may differ on other matters. I said earlier that defenders of the standard picture should stop playing defense, and go on to the attack. It is high time that I did so, and I will proceed by taking Intelligent Design at its word and evaluating it as I would any other scientific theory. It is difficult to work out what Intelligent Design really means, because its advocates never tell us how it’s supposed to work, but I shall assume that it means that there is a Designer, capable of imposing his design on matter, and that this designer is extremely intelligent. Regarded on its own terms of scientific theory, Intelligent Design theory does make one clear prediction. It predicts that organisms should be intelligently designed. But they’re not. I stand before you today as living proof of this sad fact. If a freshman engineering student were to turn in my body plan as an assignment, he or she would be gently taken aside by the instructor, and advised to seek some other way of making a living. I sprain my ankle and I twist my knee. I have lower back pain as my disks are squeezed under the weight of my body. My nose gets congested, and my sinuses, with no good way of draining, are a haven for germs. My eyes are back to front, with the blood vessels in front of the retina, getting in the way of the light. I had a dreadful time getting born and millions of children, some of whom I have known, have had an even harder time of it, and ended up permanently brain-damaged. All of these things are exactly what you’d expect on the standard evolutionary account. We have superposed upright posture on a skeleton originally evolved for walking on four legs. The blood vessels in our eyes trace their ancestry back to the blood vessels of the skin, while the light sensitive cells of the retina are outgrowths of the brain. Over the past few million years, all we simians have been living on our wits, in extremely complex social groups, producing strong evolutionary pressure to enlarge our brains, and in our species in particular this will have been intensified by the ability to make more complex sounds. As a result, our brains have grown forward over our snouts, distorting the shape of our air passages, as well as pressing up during birth against the constraints of the pelvic skeleton. Evolution fits the facts, and may perhaps be correct. Intelligent Design doesn’t fit the facts, and can’t be. And how about the use of design as an explanation? Let us take Paley’s (1802) classic example, a watch. From the discovery of a watch, we would infer an intelligent designer. But that is not the end of the matter. We would have to further infer that this intelligent designer had access to processes, by which material could be shaped to match the design. Invoking the designer would have to be the beginning of a chain of explanation, not the end of it. Otherwise the whole process is what I have called antiscience, since it tells us to stop thinking when we come across something that we do not understand, which is just when things get really interesting. This illustrates a general point, and one that I think is of great importance. Advocates of Intelligent Design spend much time drawing our attention to aspects of biology where they see weaknesses in the conventional account. We should be grateful to them for this, but our response should be the exact opposite of what they suggest. We should not view these problems as defeats for naturalistic science, but as opportunities and challenges. Thus several systems which a decade ago appeared irreducibly complex, now appear understandable in relation to simpler components. Here, I suggest, we have a potent winning strategy; by staying true to ourselves as falllibilists, we make our opponents’ weapons turn against them. We don’t pretend that we know the answer when we don’t, but we can look for it and may even find it. The creationist, on the other hand, already has an answer. He has no need to look, and will find out nothing. Science feeds on unexplained facts as opportunity and challenge. Science questions. Intelligent Design answers all questions. Therefore Intelligent Design makes science unnecessary. Is that what we want? In discussion, I predicted that the case would be appealed all the way to the Supreme Court. I was wrong. Judge E. Jones III’s ruling is only binding in the middle district of Pennsylvania, but is such powerful opinion that it is unlikely to be challenged unless at some later date the US Supreme Court acquires a creationist majority. Maimonides said it best, over 800 years ago. The Divine Teaching is, of necessity, expressed in human language. We don’t believe that God has fingers and hands (Exodus, Isaiah, Psalms, Luke) or goes for walks in gardens (Genesis). I would add that no one takes the commandments in the Bible literally, and when Daesh comes close to following the rules of law laid down in Deuteronomy, we are quite properly appalled. All of this is familiar, but this piece combats biblical literalism on its own terms, shows how it is inseparable from interpretation, and thereby undermines its strongest attraction – the illusion of certainty.